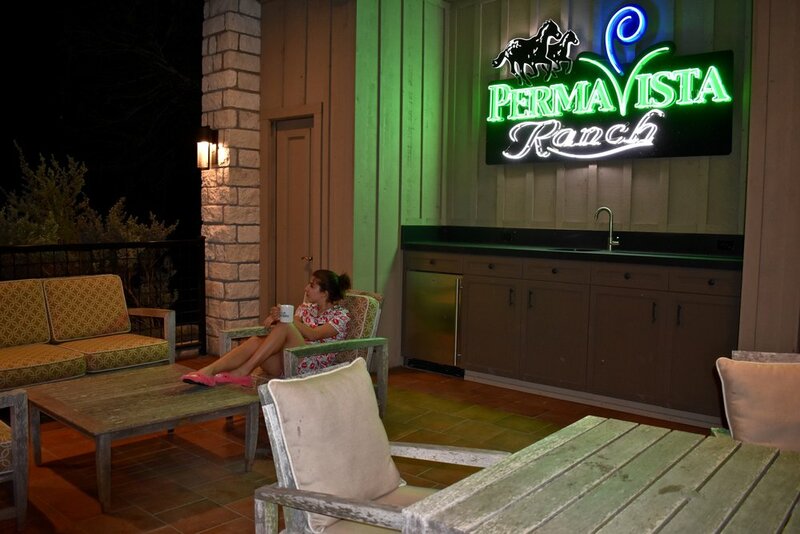 Last week I was invited to stay at PermaVista ranch so I could review my stay and I am beyond excited to share it with you guys! Work was never so much fun ;) So lets get into it! 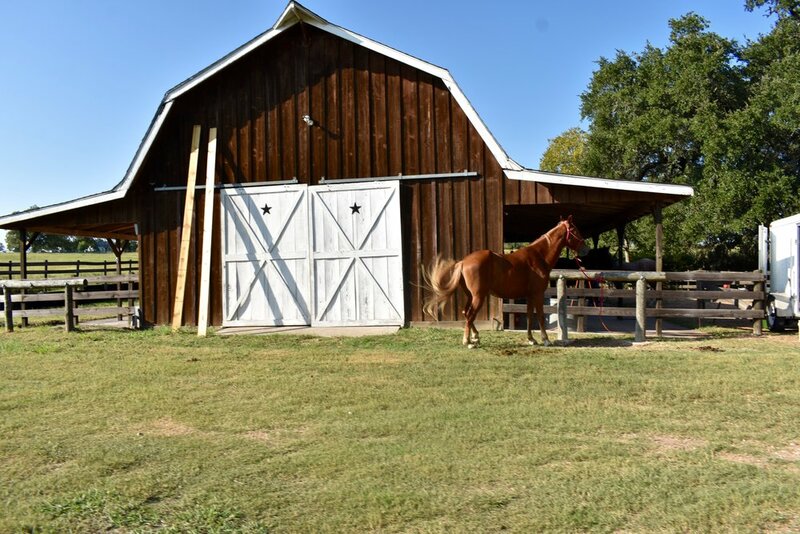 When I first arrived at the ranch I couldn't believe this little gem was hiding in the fields of Brenham, Texas. I spent countless summers a few towns over and had never heard of or seen the ranch before until I was there myself. The visit started with a tour of the house and grounds. Ruth showed me every inch of the house and answered all the questions I had happily. 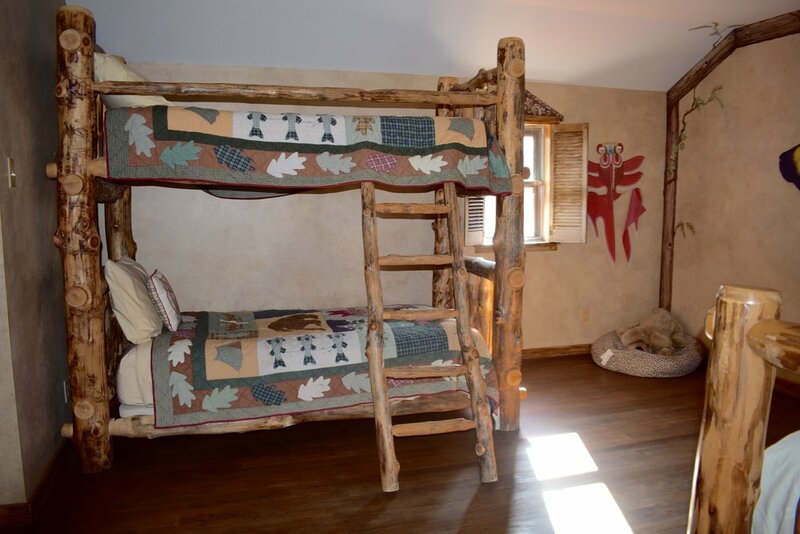 I was so impressed with how well every room was designed and decorated. The details were perfect in every single one. I had some fun and then it was time for dinner. 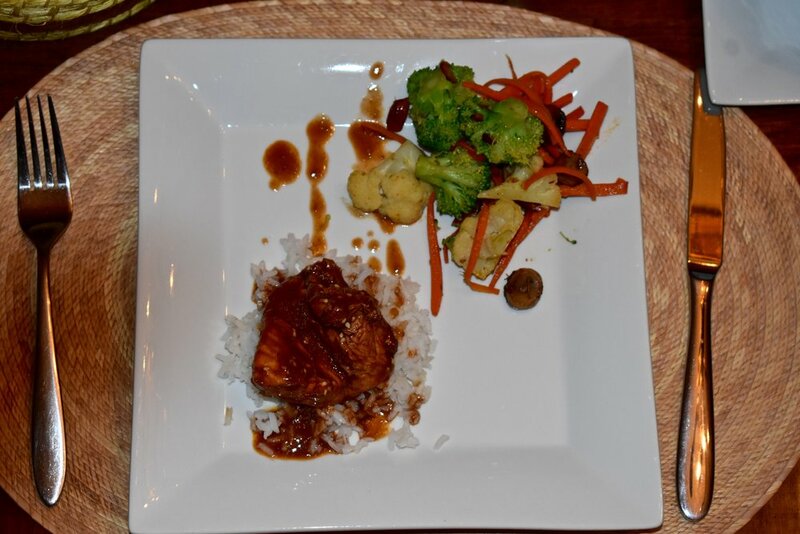 The food at PermaVista was definitely one of the highlights. I have never had authentic, homemade Chicken Mole before so that was fun to try and it didn't disappoint! Obviously ice cream is always the right choice for dessert and was the perfect end to a delicious dinner. While digesting that amazing dinner it was time for some classic board game fun in the game room. 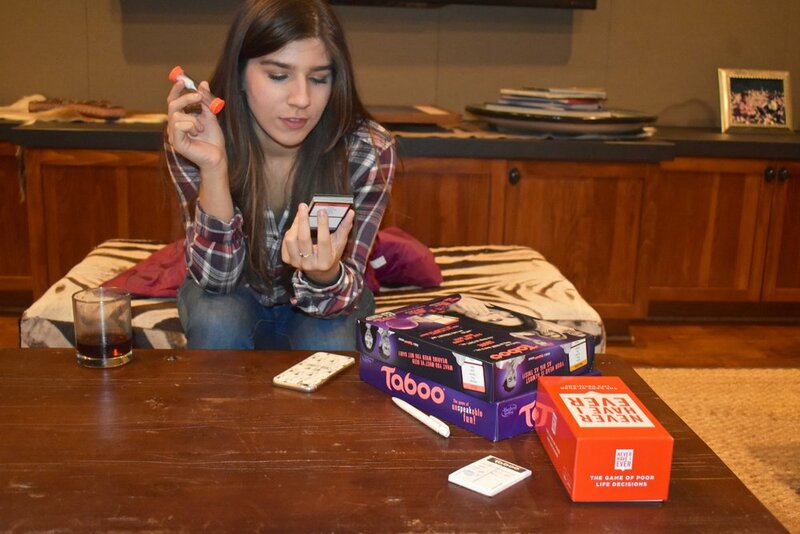 There are a crazy amount of games to choose from like Scrabble, Taboo, Yatzee, you name it and its probably in there! After games I changed into these bomb PJs(from TJ Maxx) and I went to explore the house a little more. I also grabbed a cup of hot chocolate to sip on my explorations and how stinking cute are these Permavista mugs y'all!?!? The next morning I had a quick but scrumptious breakfast consisting of sausage, pancakes, scrambled eggs, Huevos Rancheros and fresh fruit, before heading down to the barn to get ready for my trail ride! I am a HUGE horse lover and have been riding since I was 8 so this was definitely right up my alley. I convinced my mom who was with me to also hop on a horse for at least a quick ride through a pasture and she hasn't ridden since she was about 9 so that was going to be interesting to say the least! On my way to the barn I saw this cutie and could resist stopping to show him some love! Plus we were matching so how could I not? Before we left I had to take a climb up to the top of the "tower" which is this awesome building in the middle of the house. The view was breathtaking and most definitely worth the climb! Finally my time at PermaVista had come to an end. 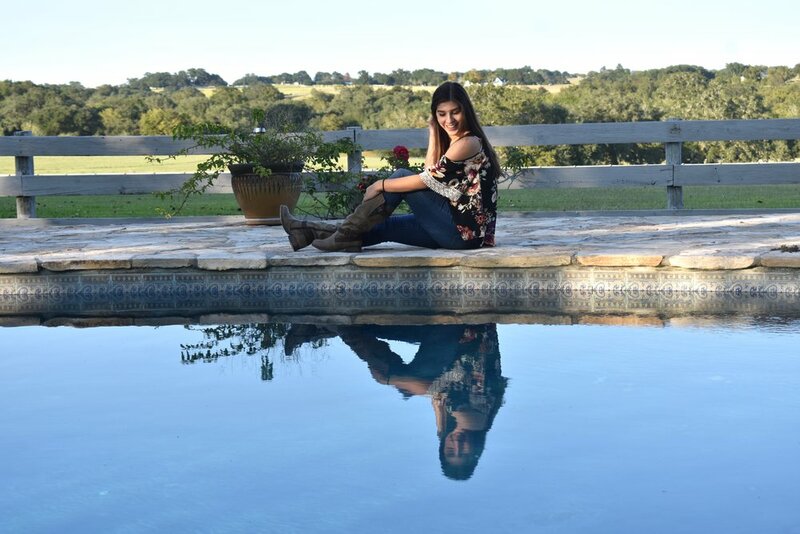 I honestly have nothing but great things to say about the Ranch and all the wonderful people there. 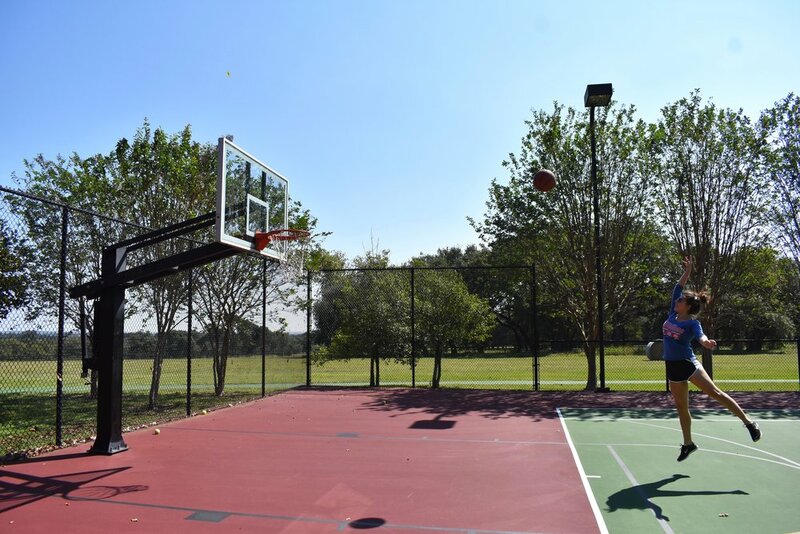 If you are ever looking for the perfect getaway in the fresh country air of Brenham, Texas, Permavista is just waiting for you. 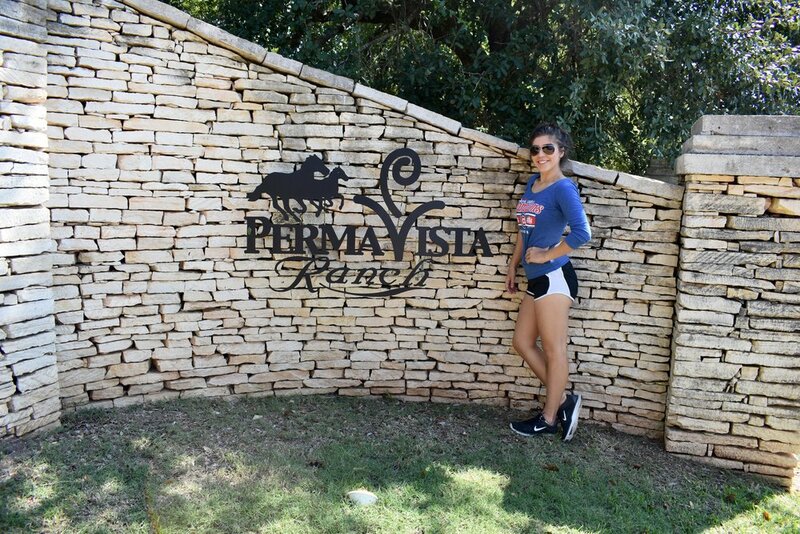 If you want to see more of my stay at PermaVista head over to my Youtube Channel and watch my Vlog, PermaVista Ranch Experience! As always if you guys have any questions or comments feel free to leave them down below! Don't forget to follow me on all my socials so you never miss any of the behind the scenes fun!